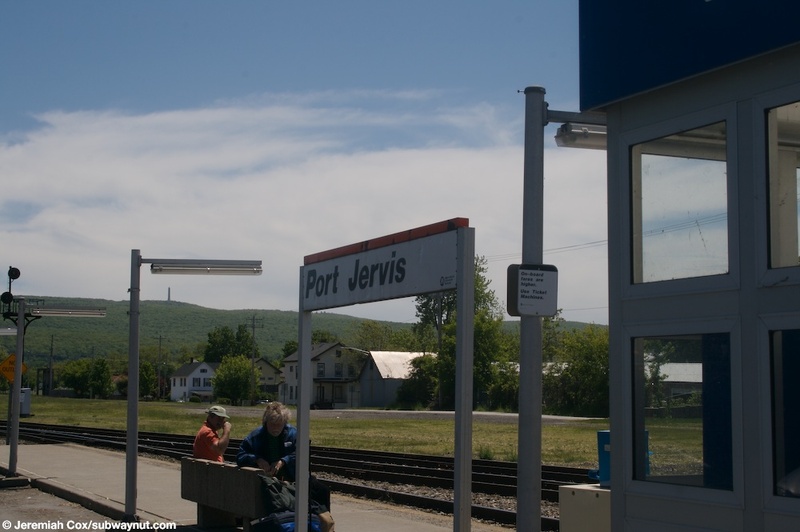 Port Jervis is the namesake terminus of Metro-North's Port Jervis Line. 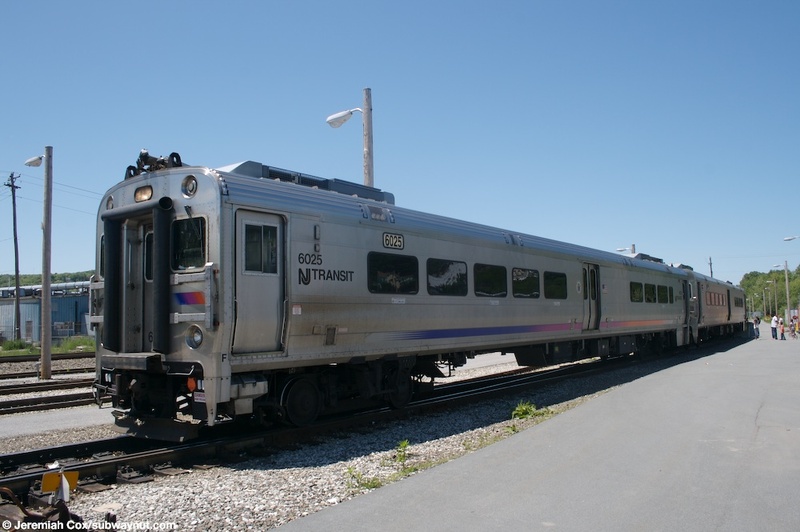 The station is 87 railroad miles from Hoboken Terminal, and is located in the corner of New York State where Pennsylvania and New Jersey also meet. It's a very short, two block walk from the station, across the Delaware River to Matamoras, Pennsylvania. 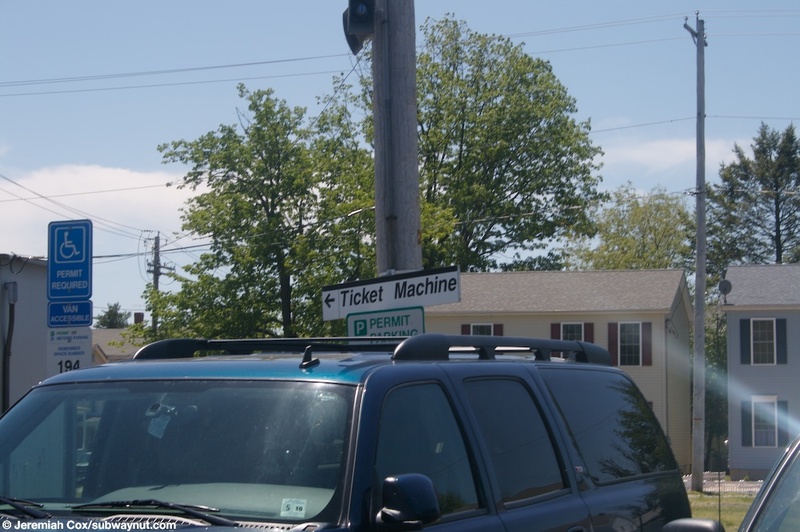 The New Jersey State Line is less than 2 miles south of the station. This means commuters come from a wide area, not just Orange County. 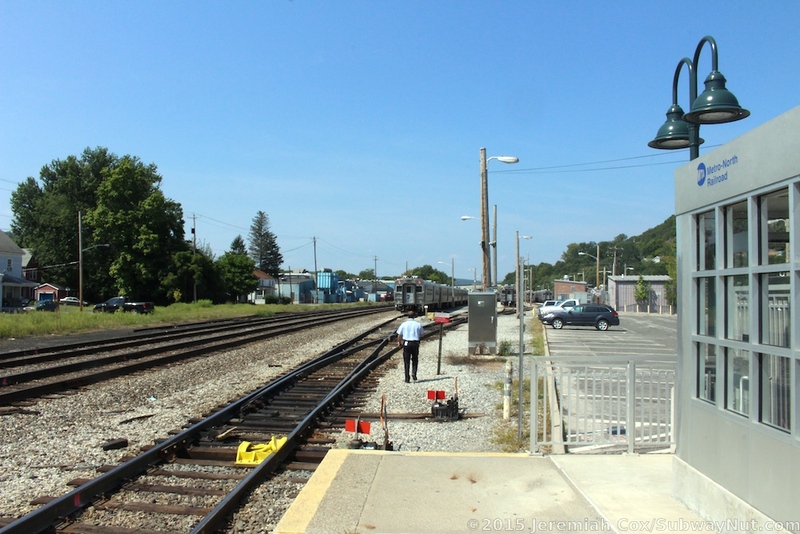 It is the most western Metro-North Station but not the most northern West of Hudson Station since the line curves south after Campbell Hall. 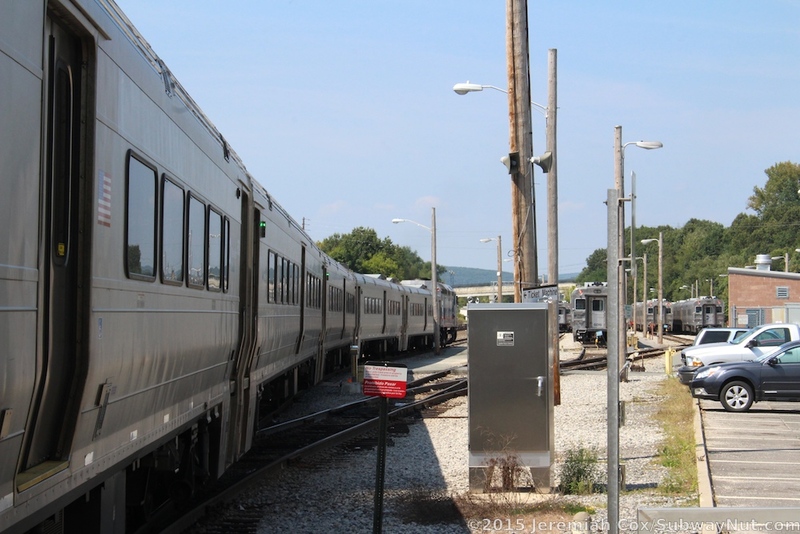 The station receives service from 12 round-trip trains per weekday, and 7 round-trips per weekend. Travel time from this station to Hoboken Terminal is 2 hours and 5 minutes on the fastest rush hour express trains. 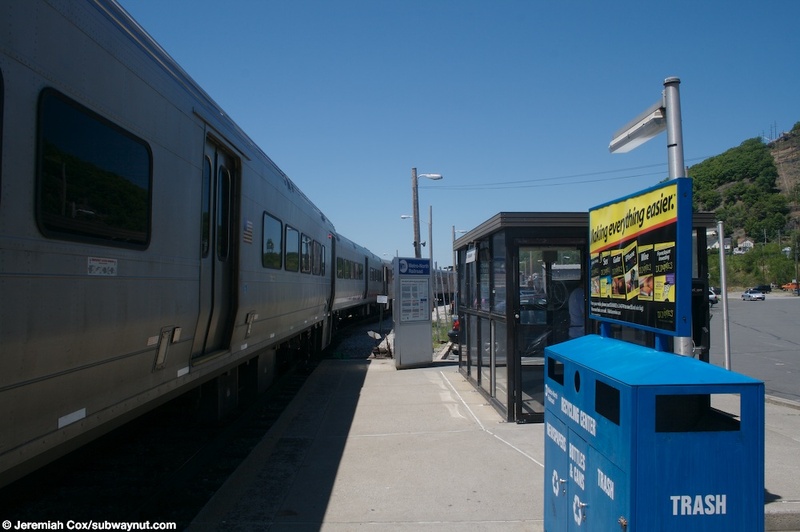 Most trains to Port Jervis run non-stop from Secaucus to the New York State Line in Suffern, with trips taking 2 hours and 10 minutes. 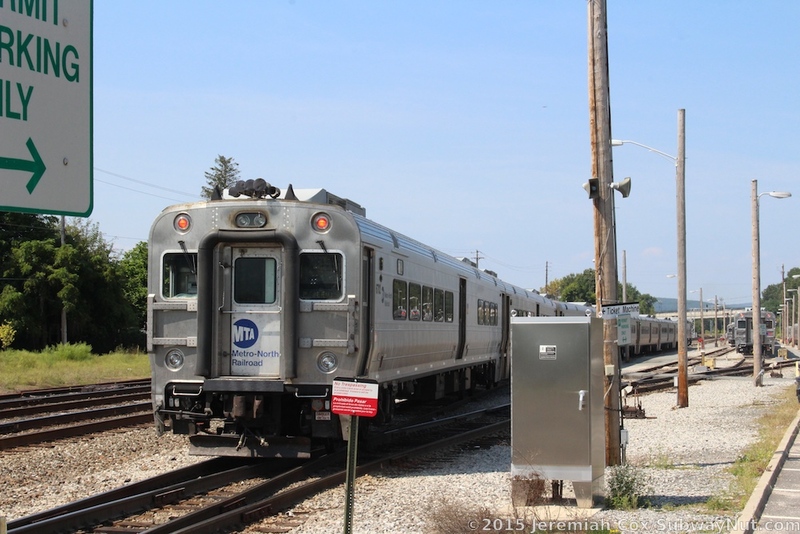 Some trains do make local stops in New Jersey (particularly on weekends), these trips can take as long as 2 hours and 35 minutes. The historical Eire Depot station was built in 1892 and enlarged in 1912 (according to a state historical plaque). 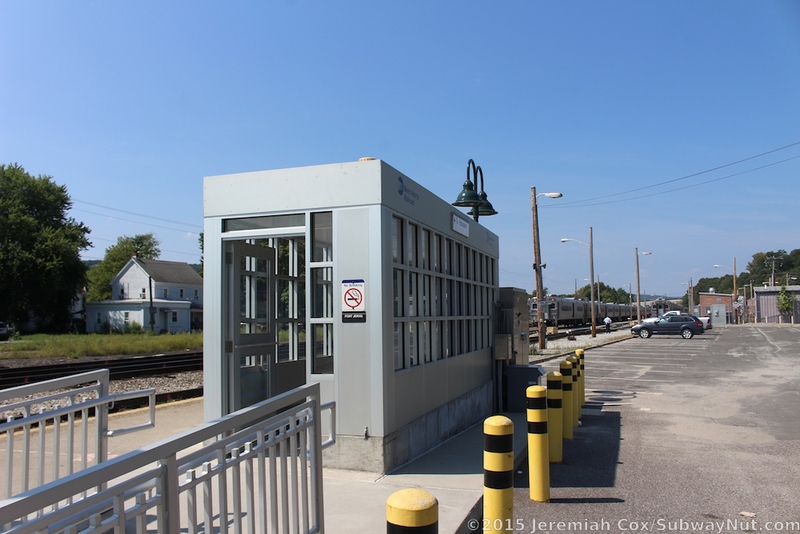 It is located a quarter-mile down the tracks, two blocks south of the current station. It is a large two-story structure with a few chimneys and gabled roofs, currently used as professional offices. The current station is a simple low-level platform located on the yard leads where trains are stored overnight and between runs. This yard has five long main tracks and can accommodate at least 9 trains. 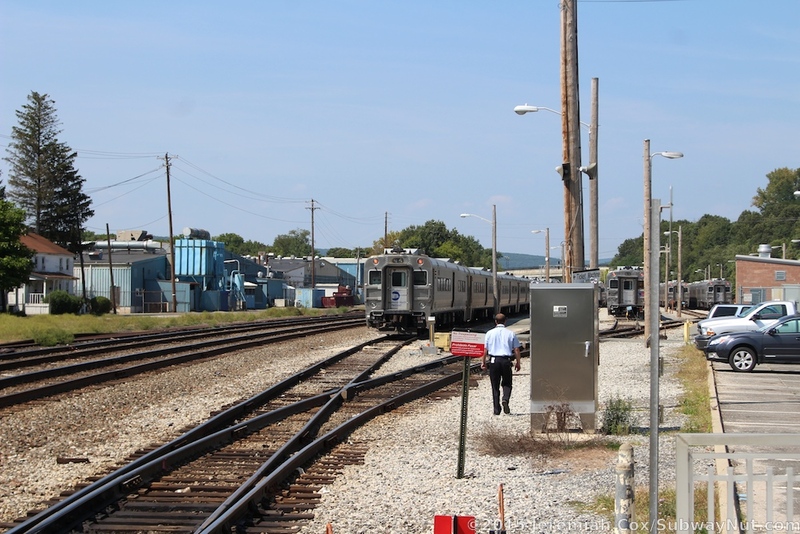 The yard's switches are only controlled manually and trains have to make a brief stop as they enter and leave the station in revenue service for the conductors to properly set the switches. This train yard also contains a turntable (visible from the northern end of the parking lot), and some historical railroad cars and locomotives. The platform can accommodate only two cars. 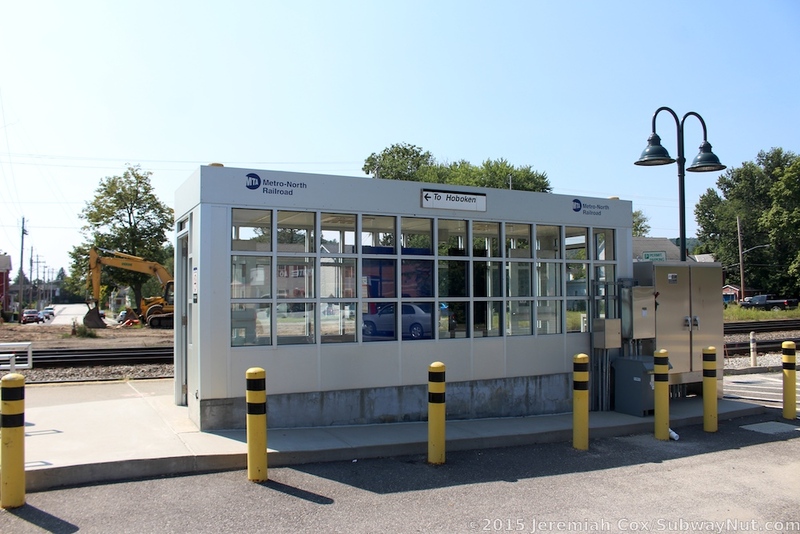 The platform is furnished with a silver shelter containing the station's single TVM and parking pay stations inside this shelter. Modern green lampposts also line the platform. 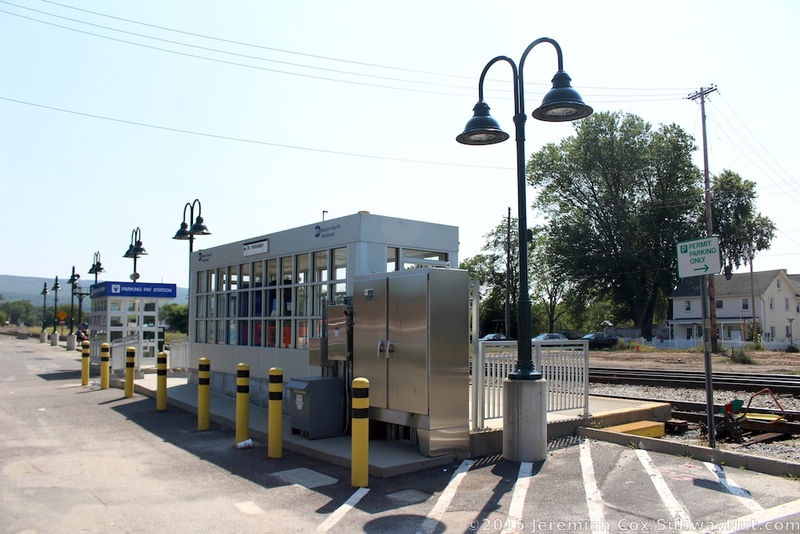 The current amenities were built after 2008 when the station had a single black shelter, the pay station, and florescent tube lampposts. The platform is located just north of the underpass of Pike Street. This tunnel also crosses under Front Street just south of the tracks with a staircase from the platform directly down to the underpass. 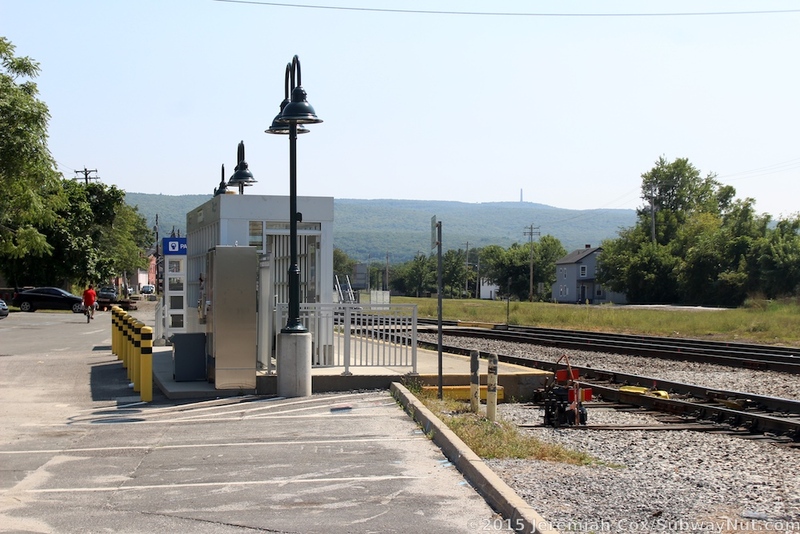 The station is located on what feels like the edge of a strip mall (although it's right on the edge of downtown Port Jervis), with the parking lot shared with a Rite Aid and a Burger King. 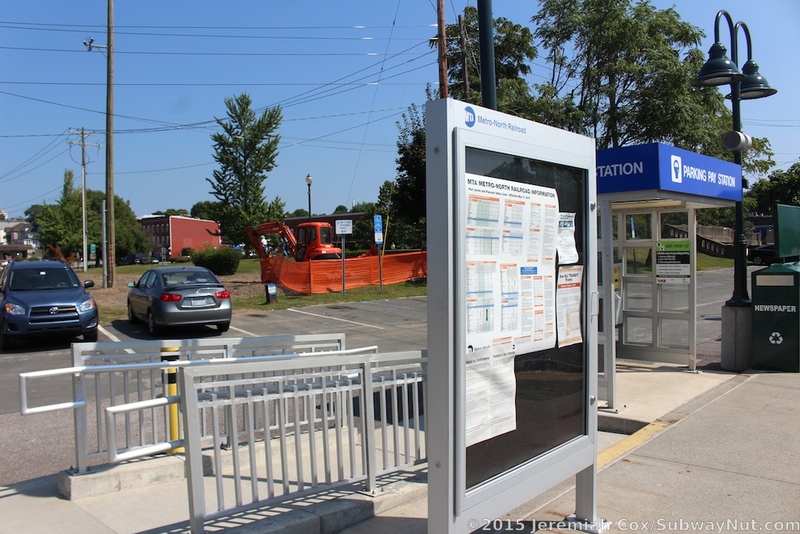 There are 110 parking spaces for commuters, owned by Metro-North ($1.25 per day, $20 for a yearly permit). 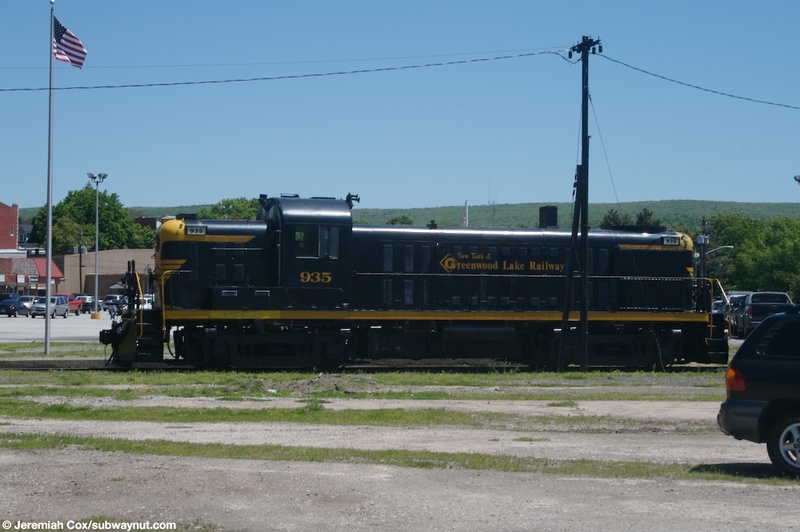 New York & Greenwood Lake Railway Alco RS-3 Switching Locomotive #935 is parked on a siding in the small yard just beyond the Port Jervis Metro-North Station. 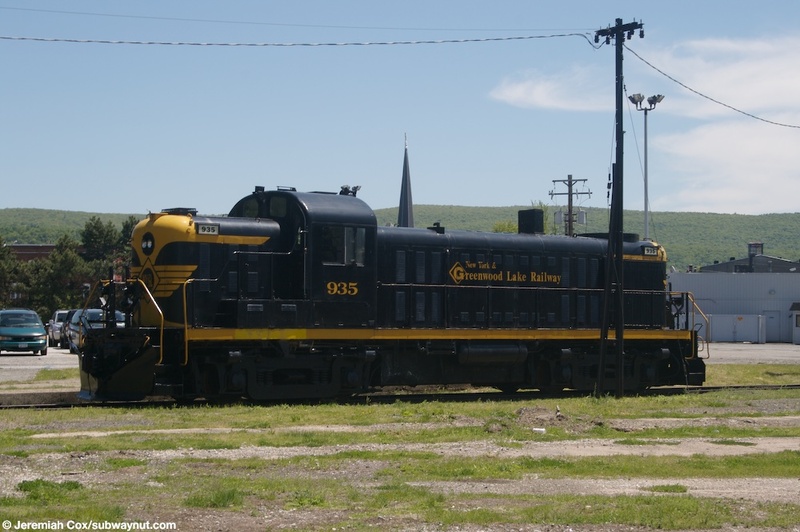 Another view of the New York & Greenwod Lake Also RS-3 Switching Locomotive #935. NJT Comet V Cab Car #6025 begins leading a Southbound express train bound for Hoboken in push mode from the yard and up to the dinky station platform to enter service at Port Jervis. 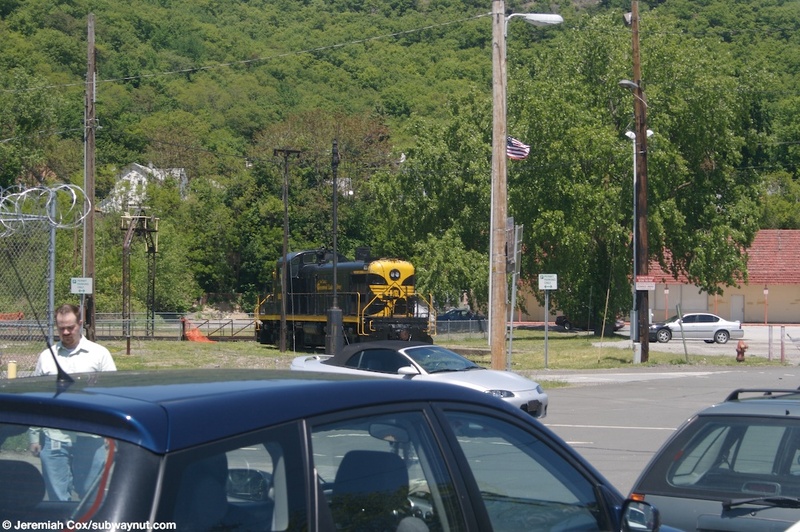 Another view of the New York and Greenwood Lake Railway Also RS-3 switching locomotive viewed from a distance from the metro-north station parking lot. 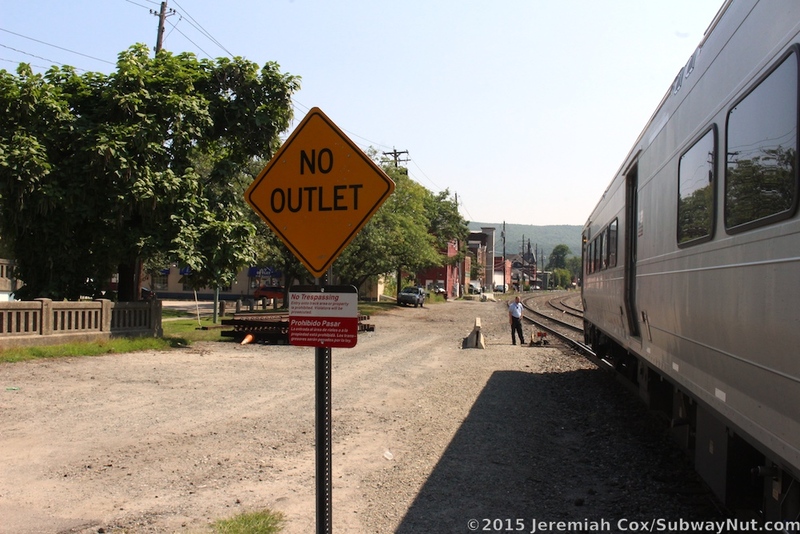 A MNR style sign for Ticket Machine it's pointing towards the NJT ticket machine (west of Hudson these are used, not the regular MTA railroad machines found east of the Hudson) on a wooden wire pole in the parking lot at Port Jervis. 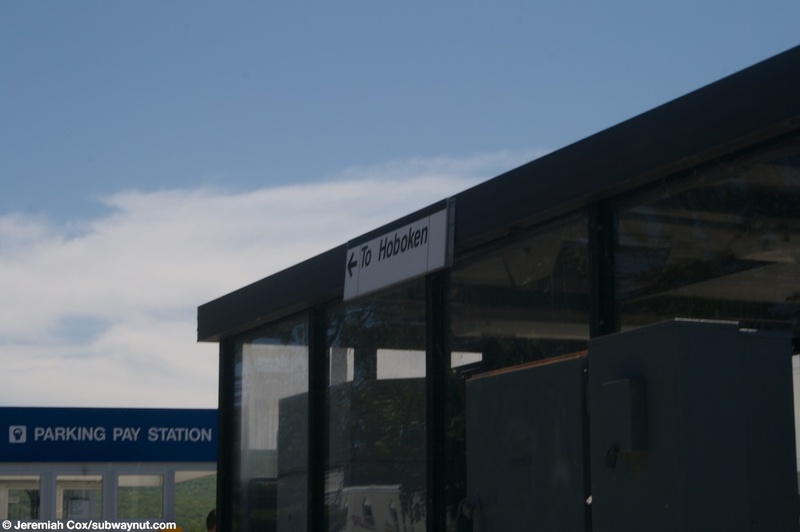 A sign for the direction of travel 'To Hoboken' on the small waiting shed. 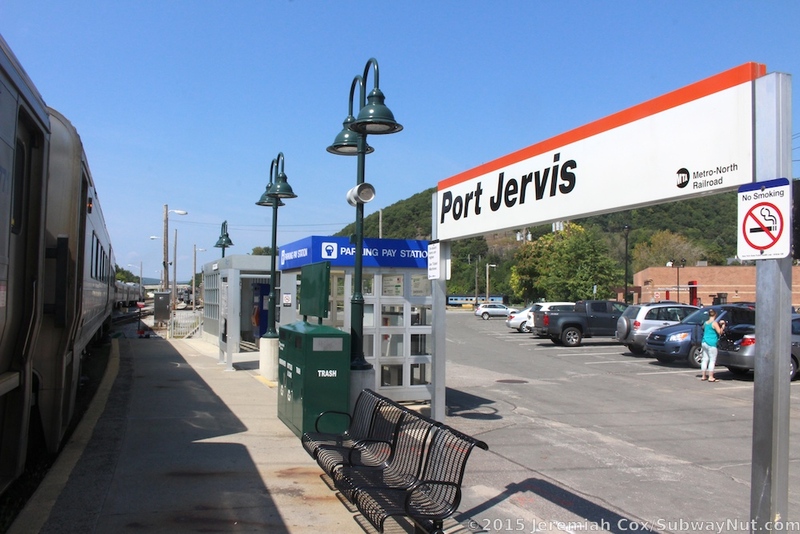 A metro-north Port Jervis station sign (that's quite tall so it can be read from the train widows, since the station has a low-level platform), and a concrete bench that looks the same as many found on the otherside of the Hudson River. 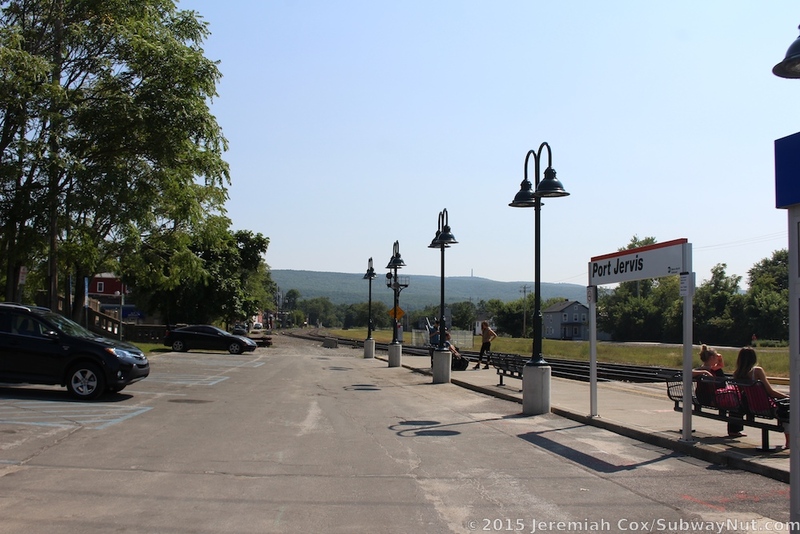 Looking down the very bare platform at Port Jervis, it's lacking many regular station features, including a canopy. There is a completely enclosed by two doors glass glorified bus shelter waiting area that has the stations only TVM, and a parking pay station area.